Bromley-based Marsons Solicitors implemented their first case management system over two decades ago. This experience has taught them what they need from their software and how they want it to work. Marsons cover a broad variety of specialisms including Conveyancing, Wills and Probate, Commercial work, and Personal Injury and are mentioned in the Legal 500 and Chambers Guide to the Legal Profession for the services they provide. 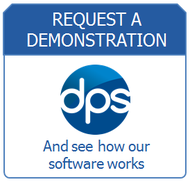 In 2013, they chose DPS Software for their practice management needs. Beth King, a Partner of the firm and Head of the Personal Injury department was heavily involved in the decision-making. ‘’Our incumbent case management software was getting old and wasn’t embedded within Microsoft Outlook’’ said Beth, explaining her decision. She also wanted a system that was integrated, with one database for both accounts and case management, allowing the fee earner’s case work to be immediately billed. The other requirement was for the software to be easily amendable. DPS Outlook Office allowed her to develop specific workflows for the business so that they could improve their efficiency and automate a lot of the work they did. The limited technical skills required for this type of work and the training provided by DPS have allowed Beth to carry out the development work independently and in house. DPS’s case management system when integrated with Financial Director, forms a complete Practice Management Solution-one single platform that connects the fee earning and accounting functions of the business. Since 2013, Beth has rewritten the Conveyancing and PI workflows, where one task generates another one. The DPS PI module is integrated with the A2A claims portal, eliminating the manual work required before, when they had to enter data twice, in both their case management system and in the portal. ‘’The Will drafting software from DPS saves us a lot of time, in an area where one can’t charge a lot for the work.’’ commented Beth who has amended this module as well, taking out and amending some clauses and changing the branding to match their corporate style.